Supports up to 4 fans, and provides each with an independent speed adjustment controller. Do you need more USB? 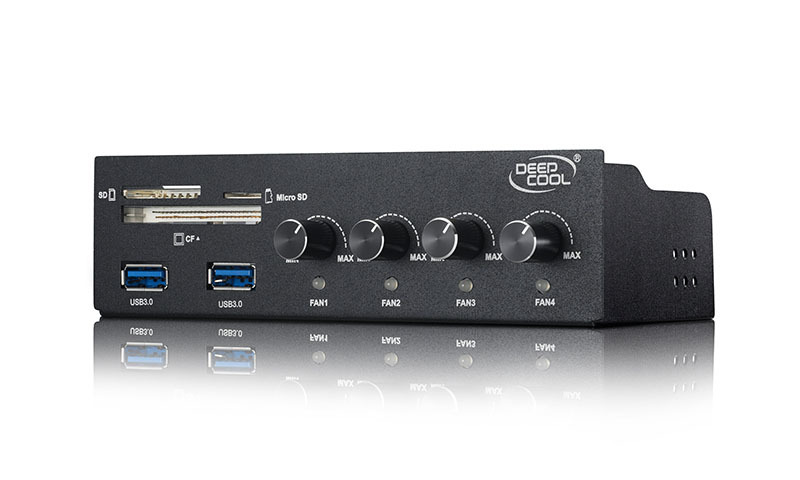 ROCK MASTER provides the additional USB ports you need to meet your needs. Why buy additional readers for SD, Micro SD, or CF cards? ROCK MASTER has integrated multiple card readers in the device. ROCK MASTER fits perfectly into a 5.25-inch expansion bay. 4 channels to easily adjust fan speeds. 2x USB 3.0 extension ports. Fits in the 5.25-inch bay for easy installation.